Is that why they left you? Or you left them? Either way, 2 left am I right? Optimally, I was looking for a lvl 3 duty holster, but like I said nobody seems to make one for left handed draw that fits the rail on this gun. I already have a supertuck deluxe IWB for it that is absolutely amazing, but I have no option it seems to get a holster for it similar to the SERPA options out there I was thinking a custom made OWB job with a thumb break would be the next best thing for when I want to OC this particular gun. Just an aside: I had my doubts about how comfortable a gun like the 226 would be IWB, but with the supertuck wearing it every day for hours on end it is still quite concealable and comfortable to the point that I don't really feel like carrying one of the smaller guns I have access to and I'm a pretty average sized, not overweight guy. I don't even need to dress around it. It took forever to get it but the Supertuck is absolutely worth the wait and I would recommend them to anyone. 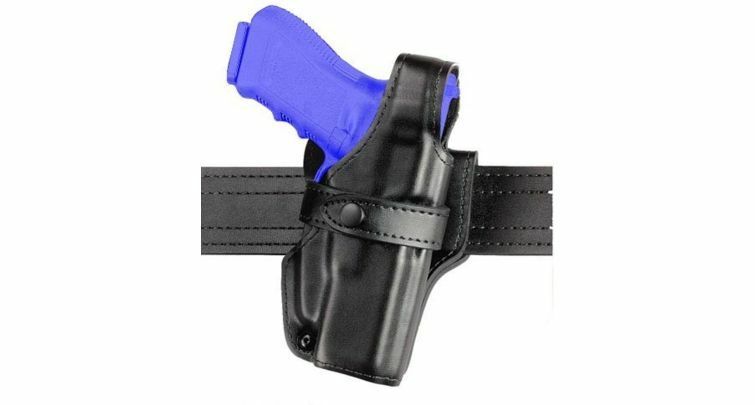 Emoticon;118256 Wrote: Optimally, I was looking for a lvl 3 duty holster, but like I said nobody seems to make one for left handed draw that fits the rail on this gun. I already have a supertuck deluxe IWB for it that is absolutely amazing, but I have no option it seems to get a holster for it similar to the SERPA options out there I was thinking a custom made OWB job with a thumb break would be the next best thing for when I want to OC this particular gun. I believe the Sig P226R is the model you want. Just an update to this post. I have discovered that Blackhawk! makes a left handed lvl 2 holster for SigPro 2022's that fit the MK25 perfectly in case anyone else ever runs into this problem.